Accessories have remained long forgotten in particular parts of the fashion industry, but MSGM’s spring/summer 2019 runway collection served a purpose in solidifying its main-staying power. Luckily for the consumer, the luxury brand’s wonderful looks can be recreated on an affordable budget. Style Advice: To recreate the seamless looks of MSGM’s runway identity, start simple and work your way up accordingly. The strength of this outfit lies with its blazer, so be sure to purchase Zara’s Textured Weave Suit Jacket ($119). The jacket will naturally want to be matched with the pants correctly, so after making sure your suit jacket is left open for a nice t-shirt, purchase the Cropped Textured Weave Suit Pants ($50), also from Zara. You’ll want to choose a shirt that only has a slight graphic present in the middle that may shine through the open suit jacket accordingly. Pick up the Van Gogh Sunflowers Tee ($29) from Urban Outfitters, as it remains very simple but will provide the perfect amount of pop to the look. To finish off the outfit, you’ll want a flashy pair of sunglasses and shoes to counter the safe, calm colors of the rest of the garment selection. I would recommend the SNKR 02 ($129) from Zara. It’s lace-up, sock style construction will provide the perfect level of personality to your footwear. For sunglasses, try out the Le Specs Teen Spirit Deux Round Sunglasses ($59) from Urban Outfitters, as its final amount of contrast will successfully complete the outfit. Must Have: Sometimes the most minor accessories are the most effective, as Vetements’ SS19 Sterling Ring ($270) is quite the head turner. Crafted in Italy and engraved with cross motifs, all available rings contain small Maltese crosses on the front and both sides, with “VETEMENTS” appearing on the back of the ring. The accessory would fit perfectly with a multitude of outfits, as it is extremely subtle but possesses the ability to be flashy, dependent on the wearer’s personal preference. Rings are often passed down or worn for long periods of time, so consider treating yourself to the rare surprise of a newly purchased finger accessory that helps bridge the gap between high end, luxury fashion and a simple status symbol. Industry Update: A luxury brand known for adventuring deep into new territory, Balenciaga is soon to drop its first eyewear silhouettes with Kering Eyewear, releasing exclusively at Dover Street Market. The new eyewear will come in purple, grey and orange iterations, inspired heavily from the recent re-designs of Balenciaga's flagship stores and runway shows, featuring custom-built glowing podiums and free standing mirrored walls. 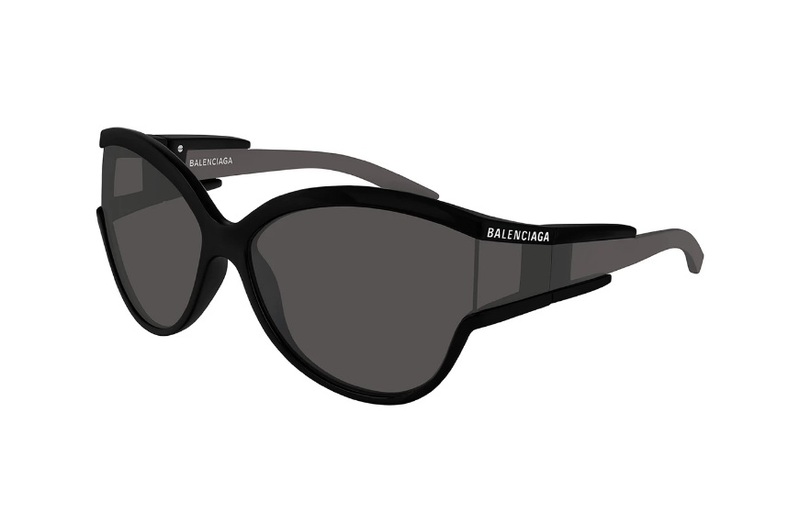 Each pair of newly designed glasses feature “Balenciaga” branding on the inside of the temples and near their hinges. A sleek, solid black frame holds the entirety of the glasses together. The launch of the exclusive eyewear will take place between January 2-9, each pair becoming available for purchase at Dover Street Market’s Singapore, Beijing, London, New York City, Tokyo and Los Angeles stores.